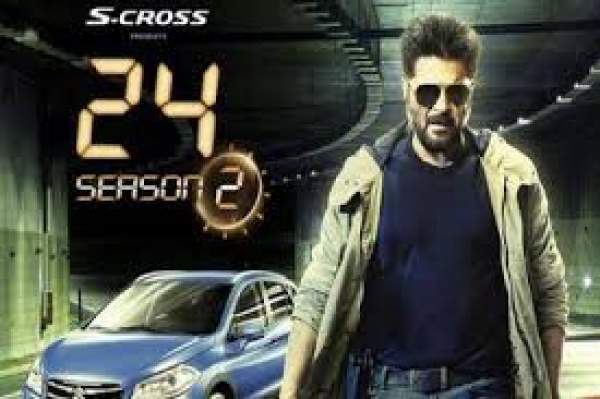 24 Season 2 Episode 1 23rd July 2016: Three years ago Jai Singh could not save his family when targeted, and he spent his most difficult 24 hours. At Rann of Kutch some men came to meet someone and got to know that the virus was dangerous than they thought and asked the other one to insert the pen drive into his body. Another man said that they were at that place for 24 hours, and it felt like 24 days and wished to leave from there. They planted an exploding bomb there and left from there. The reporter told about Roshan Sherchan, who would be hanged the day after. Jai heard that news and was tensed and unrest. The alarm rang, and Reporters showed that Jai Singh and Shivani arrested Roshan and risked their own lives. He switched off the television and drank a glass of water. His phone rang, and it was from his daughter Kiran. She asked him if he was okay. She told him that veer was coming home. J Singh said Veer did not talk to him after his mom’ death. She said he was not out of mom’s death, and he held you responsible for her death. He said that he wished to say him sorry and hug him. She consoled him and cut the call; he looked at his wife’s picture and started crying. Jai Singh and Gyan then discussed their plan over the phone call. At royal golf club, Aditya was telling his friends that he had a strange relation with that city as his mom and dad were snatched from him, but his friends asked him not to punish himself as his mom may come to meet him. He said why was she coming as I asked her not to. At Pune, Jai Singh reached the place, but the man laughed and stated that he had come to die. He was taken to a mafia don. He took the gun and loaded it. But Jai managed to kill him and beat the other goons too. Doctor checked the body and recovered a pen drive form it. Jai showed the mafia’s head to Shankar, and he said that this was the proof for Muzzafar. Shivani got the pen drive and was told that person had a dangerous virus, and he could not live for more than 24 hours, and if more people incurred it, there would be numerous deaths, so she had to do something. Shivani came to know that the virus dies after the person’s death. ani came to know that Harood had a solution to the virus, but he was demanding his brother’s freedom. Harood was shown as a cruel man who tortured everyone but loves animals. Jai told Roshan that he could run him away, but he wanted some information. Roshan was shocked.